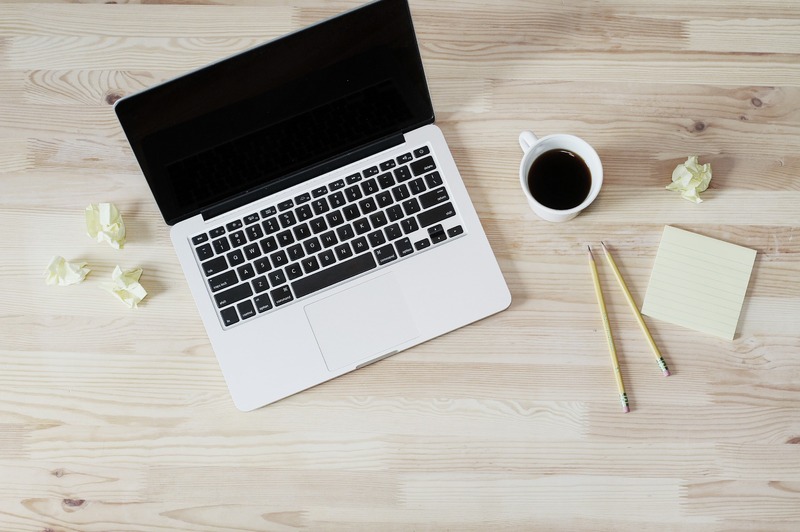 To start an online business, you do not only need to have an idea of what to sell, you must also have information on profitability, product demand and develop necessary marketing skills. Nothing beats concrete evidence when it comes to choosing what to sell. You also need to get proper skills to help you optimise and make the best of your ecommerce venture. For a beginner, the whole idea may be quite daunting. So to ease the decision making process, we have developed a definitive list of online sales ideas backed with verified statistics and success stories. You can depend on this list to help you make a decision on what product to sell online. An important tip is to sell on amazon, especially if you are selling products for young people like digital games and electronics. In a statistics generated by Inviqsa, 58.9% of people between 16 to 36 years old first stop to shop at Amazon before visiting any other e-commerce website. Amazon FBA is a popular way to sell on Amazon. You can also add a call-to-action button on your site that links consumers to your items on Amazon. Nowadays, everything has gone smart, even wristwatches. Smart watches are one of the hottest selling tech products. With these amazing wearable accessories, the sales possibilities are endless. Although Fitbit and Apple Watch are best sellers in this niche, ecommerce beginners aren’t left out of the market share. The smart tech niche can be mixed with other digital items and accessories such as screen protectors, solar chargers, cases and all that can be paired with it. Raw Generation is one of the biggest inspiring online stores in the food niche. Beginners are advised to explore various avenues for sales improvement and once you find one, focus your attention on it. You can try leveraging social media platforms like Facebook or Instagram, deal sites and online marketing platforms such as Amazon, and eBay. Raw Generation advised that online sellers have goals and if you see you aren’t meeting goals for a product or it isn’t selling, then change it! Posture corrector is a best-selling wellness product that has been growing steadily in recent years. This is because it is a fitness product that almost everyone needs (since a lot of us bend to stare at our phones or while working on our desktops/laptops). The Posture corrector trend is intended to give consumers an improved posture and there is no better time to take advantage of this trending product than now. 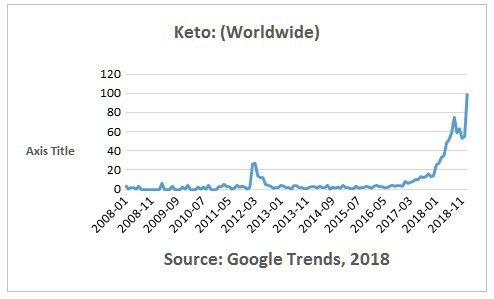 The hottest trending product in the food and wellness niche is Keto. One of the most searched products online in 2018, the large diet trend has kept growing and it includes a range of product from Keto foods to drinks, recipes and even Keto snacks. TThe annual growth rate of the clothing industry revenue is about 1.6% (IBISWorld, 2018). The rise of online sales of clothing and accessories has led to an increase in revenue for dealers who invest substantially in these items. One of the biggest inspirations in this niche is the American Party Gear, an online platform for the sales of American flag clothing, sunglasses and accessories. American Party Gear’s big advice to new online sellers is to have a focused product mix based on consumer research. Denim is one fashion item that maintains a dynamic trend but never out of style. You can sell a wide variety of products in the denim niche from pants to shirts, jackets, even denim dresses all in amazing patterns and colours. 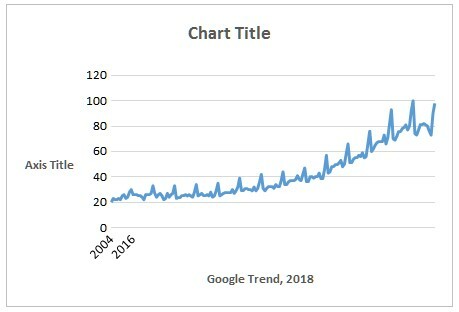 According to Google Trends, worldwide interest in Denim has been on the rise since 2015 with United States and Australia as one of the leading regions. As a beginner looking to get into online sales of clothing, you might want to consider stocking up on men’s plaid shirts. 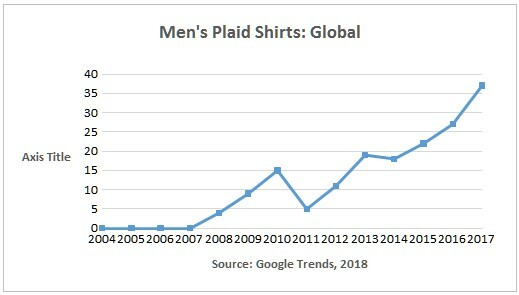 Men’s plaid shirts are one of the bestselling product online since 2017 with highest online search coming from United States, Canada and United Kingdom. 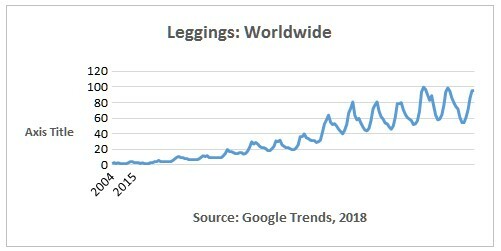 Leggings are currently hot trending products. You can easily blend leggings into your online apparel store as athleisure or among other branded wears. With the current trend and rise in online revenue of leggings, they are one of the bestselling products a beginner can explore in 2019. According to Statista, the footwear niche revenue is expected to grow at the rate of 7.1% annually for the next four years. Consider the big success story of Rollie Shoes who started selling on Amazon in 2018 and has grown to become one of the biggest shoe channels on the platform. Vince Lebon, the manager of the Rollie Shoes’ Amazon Channel, a former web designer, was also a beginner in the ecommerce industry. You can create your own shoe line or just order in wholesale from a trusted manufacturer and resell. To optimise your sales, explore online platforms like Amazon or eBay to market your products. Men’s shoes have brought increasing sales for online retailers in the footwear niche. 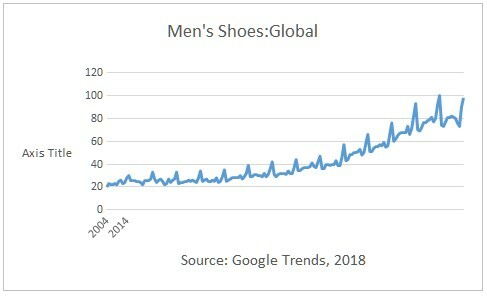 Google Trend shows revenue growth and high volume of search for men’s shoes online. Credence Research Inc. has it that increasing demand for sports and designer shoes contribute to the major growth of the entire footwear market. The growing trend of exercising and maintaining a healthier lifestyle, also comes with increasing demand for sports and designer shoes. Whether you are planning men’s or women’s shoes, the impact of adding ankle boots to your shoe line cannot be exaggerated. Add trending products like the foldable ankle length boots to your store and run targeted ads on platforms like Facebook and Instagram. Target young women between 20- 40 years to boost online sales of these amazing products. Beard oil has been on the trending list of online sales since 2017. Target social media, online selling platforms to market your products. You might even create videos on YouTube advertising your product and sharing how they are used. These are some of the bestselling products online you can choose from as a beginner. So now it’s time to start selling. Regardless of the niche you choose, best sellers are dynamic so you must be up-to-date with trending products and add to your store. To beat the competition, always augment and add a twist to your products. This uniqueness will help you through the saturation in the ecommerce industry.